The PCS Request For Services form instructs you to list the medical diagnoses that currently limit your patient's ability to independently perform Activities of Daily Living (ADLs). What are ADLs and how is your patient limited? The Activities of Daily Living (ADLs) recognized by the State of North Carolina are bathing, dressing, mobility, toileting and eating. For information on Instrumental Activities of Daily Living (IADLS0, please go to ADLs versus IADLs. If your patient has advanced Parkinson's, he or she may no longer be able to feed themselves or dress themselves. The patient simply doesn't have the hand-to-eye coordination to bring food to their mouth. The individual shakes so much that he or she spills it. The individual could have a problem with clothing themselves for the same reason: shaking too much. Brushing their teeth could prove hazardous. Eating, dressing and bathing are ADLs. If your patient qualifies for Medicaid's Personal Care Services (PCS), then PCS would assign a paraprofessional aide from a local PCS provider to assist that patient in their home environment. Orthopedic Surgery: Hip fractures, hip dislocations can limit the patient's ability to move. The may not be able to stand and will need help in the shower or bath. Cerebral Vascular Accident (CVA): A stroke can cause sensory deprivation and the patient would not be able to feel that the water is too hot. Residual Hemiparesis: The weakness on one side of the body may mean that the patient cannot stand and will need help in the shower or bath. Peripheral Neuropathy: Decreased sensation / pain. Limb Pain: Shoulder pain affects ability to reach feet. Obesity: Limits range of motion. Adhesive Capsulitis : "Frozen Shoulder" causes a decreased range of motion. Skin Rash: Can't put on clothes. Skin Ulcers: Can't sit on the toilet. Hip Fractures: Can't sit on the toilet. Neurogenic Bladder: Overactive bladder ..
Parkinson's / CVA: Shaking. Can't get food to mouth. COPD: Less airflow through lungs. Macular Degeneration / Glaucoma / Blindness: Can't see food. 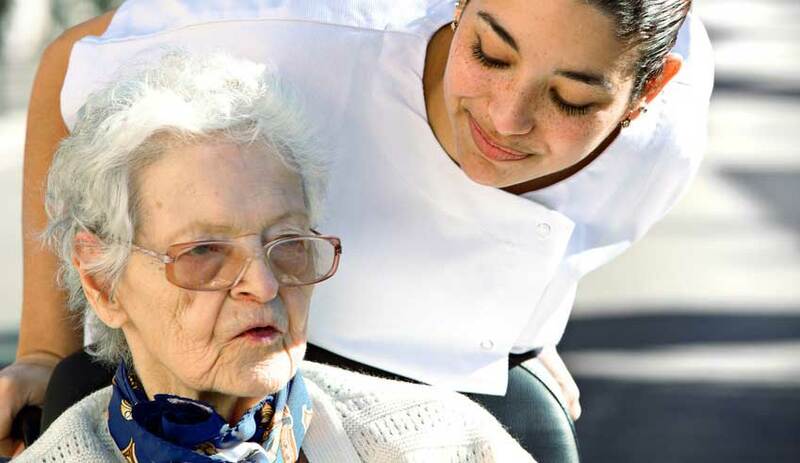 The Frail Elderly includes individuals 65 years of age and older with a physician-documented risk of falls, malnutrition, skin breakdown, or complications from medication non-compliance. Adults with MI, DD, or Dementia includes individuals age 18 or older with a documented MI, DD, or dementia diagnosis that a physician attests limits the persons ability to independently perform ADLs.